A curated guide to the Romanian-Canadian community. 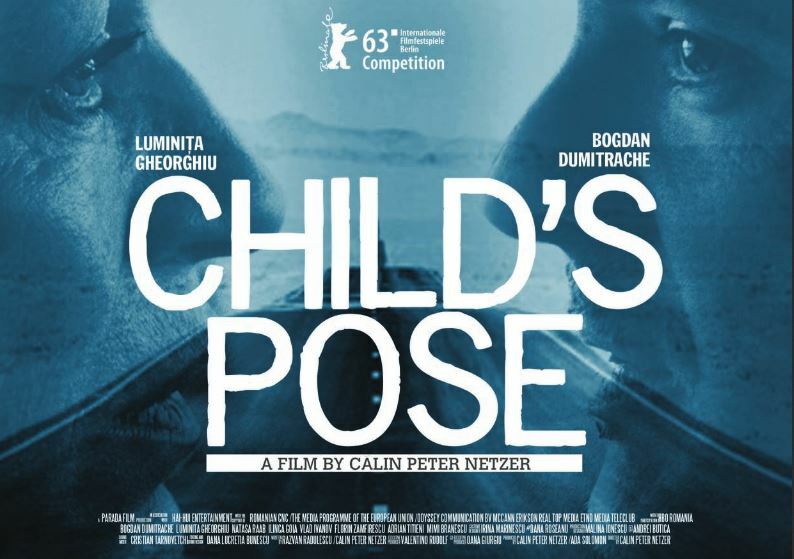 The Toronto International Film Festival (TIFF) 2013 is screening “Child’s Pose / Poziția copilului” (Romania 2013), a film by the Romanian director Calin Peter Netzer, part of the Contemporary World Cinema programme. Romanian director Calin Peter Netzer won the Golden Bear at the Berlin Film Festival for this sardonic tale about a wealthy, aging Bucharest matriarch who greases more palms than she can shake as she tries to buy her son’s way out of a hit-and-run conviction. When the winner of the Golden Bear was announced earlier this year at the Berlin International Film Festival, it was an affirmation that, ten years on, the New Romanian Cinema continues to uphold its status as a national cinema whose strength lies in details. Călin Peter Netzer’s Child’s Pose brilliantly extracts its details from daily life, offering a rich tapestry of ethical questions and shifting power dynamics — and it cuts through Romania’s justice system like butter. Sexagenerian matriarch Cornelia (Luminita Gheorghiu) leads a life of privilege, surrounded by friends and wealth in Bucharest. Upon learning that her son Barbu (Bogdan Dumitrache) was involved in a car accident and could now be facing a hefty jail sentence, Cornelia’s maternal instincts kick into overdrive. Taking advantage of the connections afforded by her status, and dismissing the situation as a minor annoyance — Barbu killed a fourteen-year- old boy and fled the scene — Cornelia greases palms and pulls strings while her son looks on in a chemical-induced haze. Continuing to explore his recurring themes of domestic alienation and reconciliation, Netzer conveys in this third feature an impressive directorial evolution. Co-written by acclaimed scriptwriter Răzvan Rădulescu (The Death of Mister Lazarescu), Child’s Pose delivers a subtle and nuanced portrait of human vulnerability and loss while maintaining rigorous neutrality in its hyperattentive camerawork. Yet tragicomic elements are woven into the narrative fabric: “You have another child,” Cornelia tells the parents of the boy her son killed, “but I only have him.” Her plea is heartfelt, and in obscenely poor taste. And if Barbu is emblematic of the generation set to inherit post-communist Romania, we have every reason to be on the alert. Călin Peter Netzer was born in Petrosani, Romania. His debut feature, Maria (03), won the Special Jury prize at Locarno. His other features are Medal of Honor (09) and Child’s Pose (13), which won the Golden Bear at Berlin. The Toronto International Film Festival is the leading public film festival in the world, screening more than 300 films from 60+ countries every September. Our programmers have earned a reputation for excellence, and a diverse array of films are shown: Hollywood galas, complete with red carpet glamour; the best in international cinema, the latest homegrown comedies… and everything in between. Our films are divided into Programmes to help guide your choices. Love horror flicks? Check out Midnight Madness! Feeling edgy? Try Vanguard. Need a mini stay-cation? Contemporary World Cinema may be for you. Ceva Romanesc is a curated guide to the Romanian-Canadian community covering events, businesses, the people, cultural and lifestyle trends. We are always looking for contributors. Get in touch if you would like to join our team! Copyright © 2019 Ceva Romanesc.